IFA 2014 has seen its fair share of releases over the past few days, and it goes without saying that the show is not over yet, although most of the major announcements have already been made. Huawei might not be as famous as the likes of Nokia, Samsung, LG and Apple when it comes to the world of smartphones, but this does not make them into any kind of pushovers, either. No sir, and in order to underline a statement of their intent, Huawei has announced the launch of the Ascend Mate7 that will come with a generous 6” display with Full HD capability for those who want to view more on their respective smartphones while being on the move. 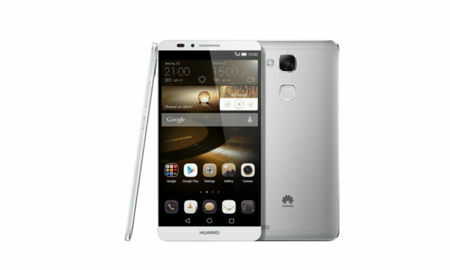 Huawei has pulled all the stops to make sure that the Huawei Ascend Mate7 is as pretty looking as possible, delivering solid hardware that is crammed into a slimmer 7.9mm chassis for increased comfort, not to mention having it carry a more powerful octa-core chipset that clearly delivers superior performance, while there is also a longer-lasting 4100 mAh battery. A single-touch fingerprint technology is definitely something new to this range that was introduced, and which was not found in its predecessor, the Huawei Ascend Mate that was released early last year. Not only that, there is also EMUI 3.0 that hopes to make the entire user experience a whole lot more palatable, so to speak, and this number three smartphone vendor in the world clearly has set its sights higher than where it is at the moment. Underneath the hood lies the aforementioned octa-core architecture that features an intelligent Huawei Kirin 925 processor which is comprised of a quartet of large A15 1.8 GHz and four small A7 1.3 GHz chipsets that are then activated in different configurations, depending on the power needs of a specific app or function in order to maximize battery life. It also supports the fastest LTE Cat6 connectivity, has a 4100 mAh Li-Polymer battery, tips the scales at 185 grams, and will arrive in moonlight silver, obsidian black and amber gold shades.